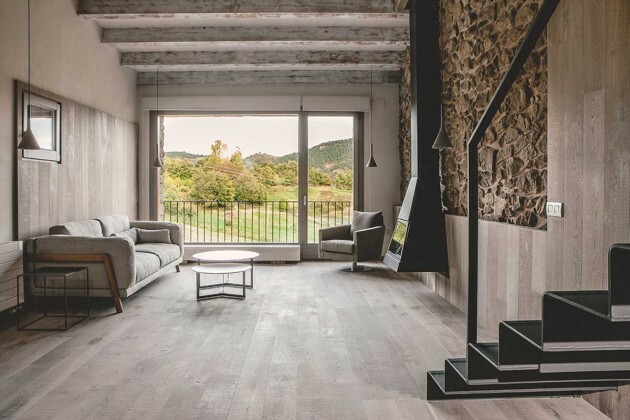 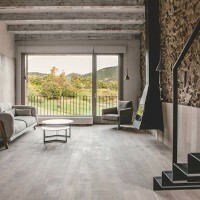 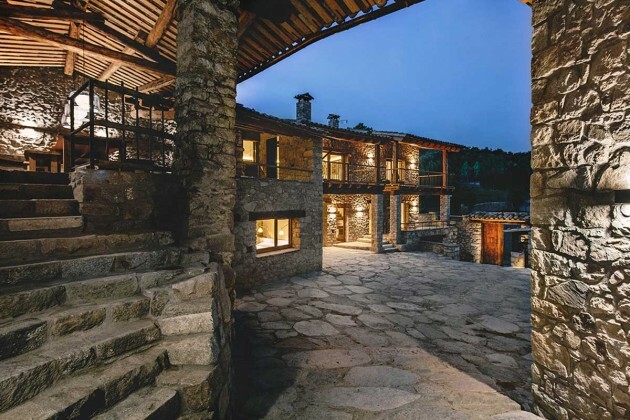 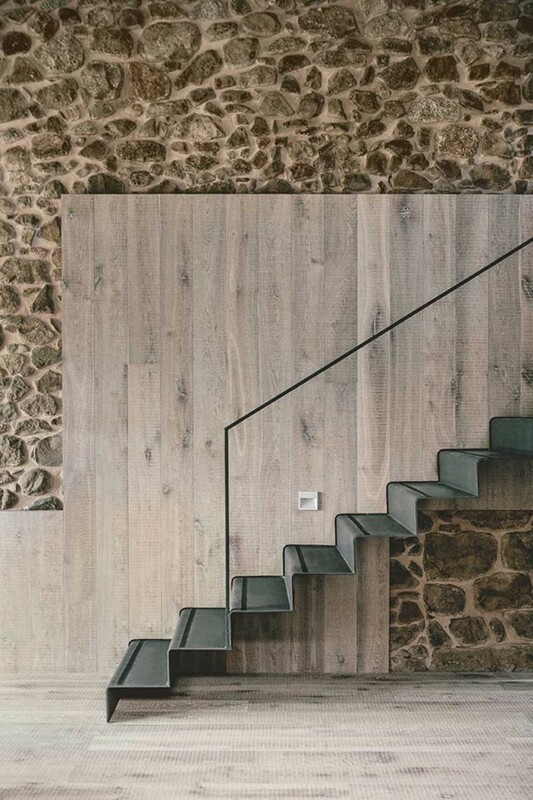 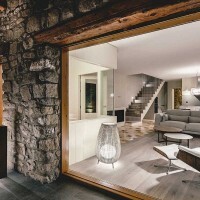 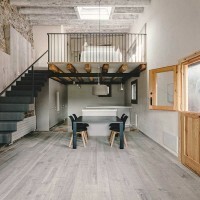 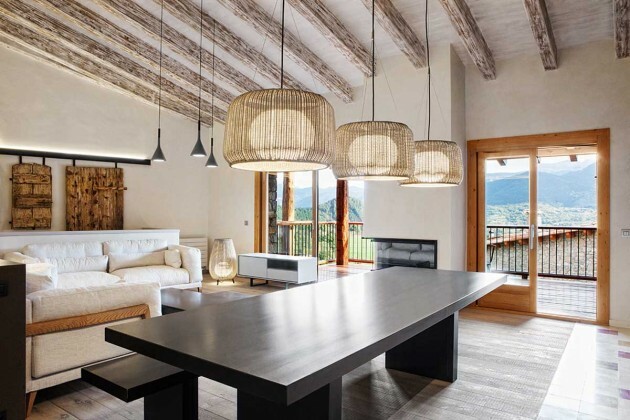 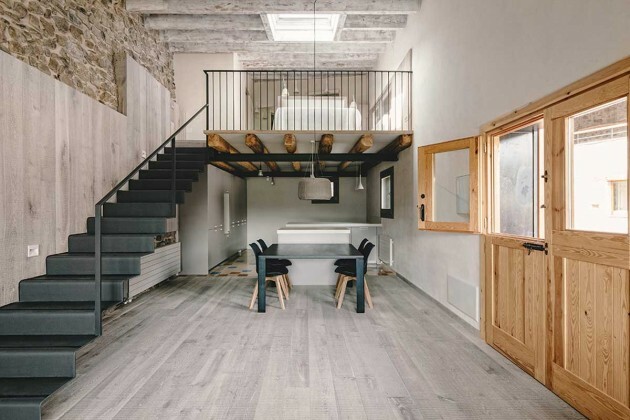 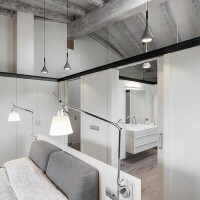 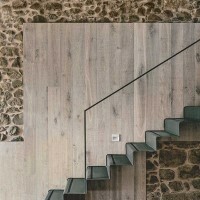 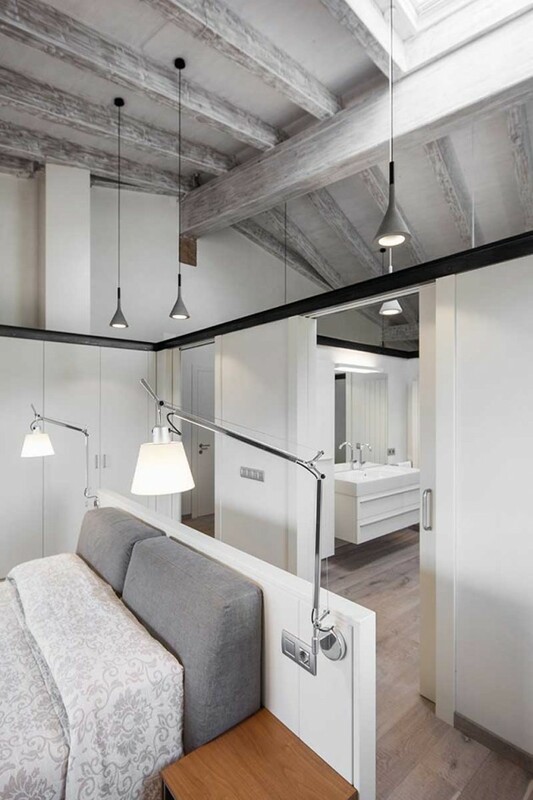 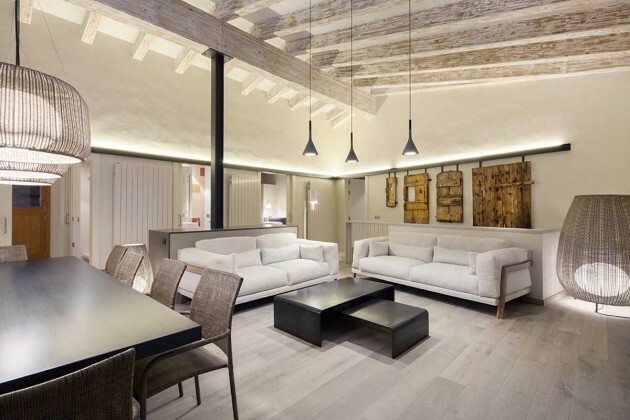 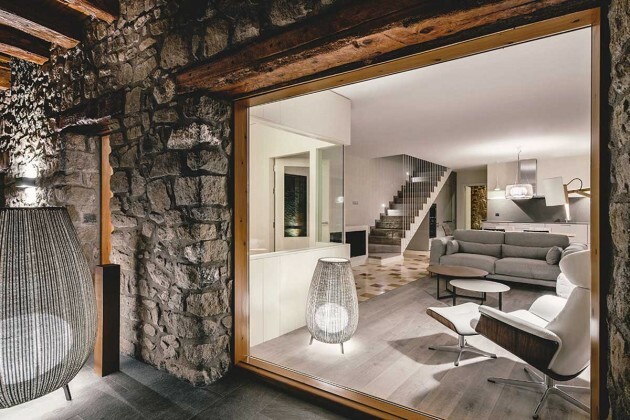 Dom Arquitectura have completed the renovation of a historic home in La Cerdanya, Spain. 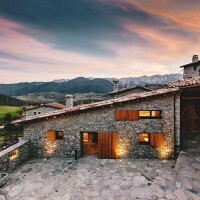 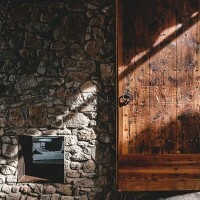 The project is located in a small village in La Cerdanya. 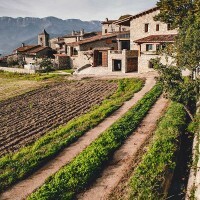 Located on the north valley side and facing south, the dense rural core is formed by about 20 houses, is surrounded by fields and meadows where agriculture and farming are the main activities. 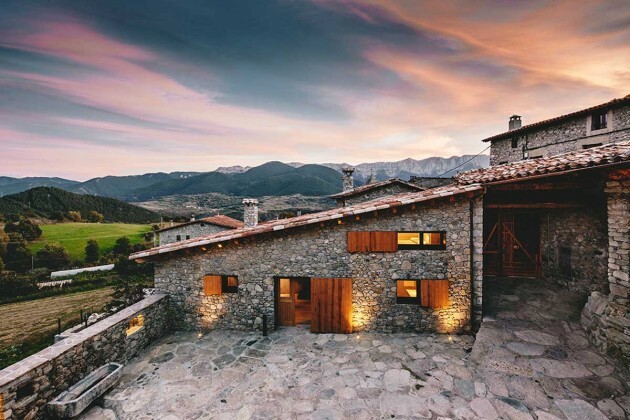 Breathtaking views of the Cadi in front make this setting, a natural paradise. 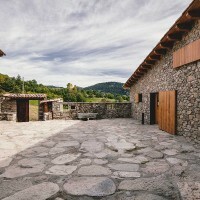 Most buildings in the village are formed around an era. 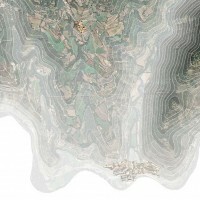 We can see in the village distribution map, that outside eras spaces organized the old constructions around them. 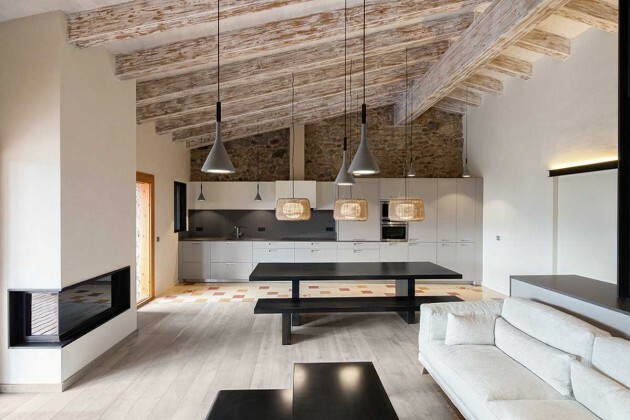 They formed a structure grid set with old barns, stables and houses. 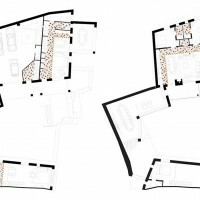 One group of constructions formed by a haystack, a barn, a warehouse, a small house and badiu belonged to our client who wanted to rehabilitate the space set and make his home and several guest pavilions. 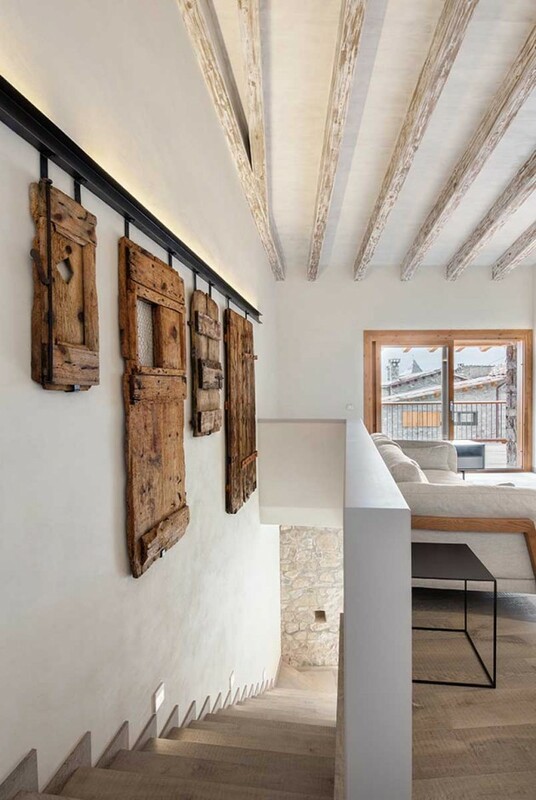 We keep the volumes of the existing buildings, rehabilitating their facades and roofs and redistributing all interior spaces. 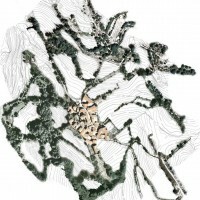 The badiu was and old haystack, and now becomes a large covered and open space. 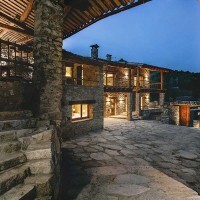 It has been renovated keeping the old trusses that supported the roof. 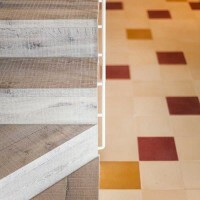 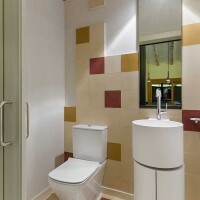 We use a roofing system where is no bonding material between timber and tiles. 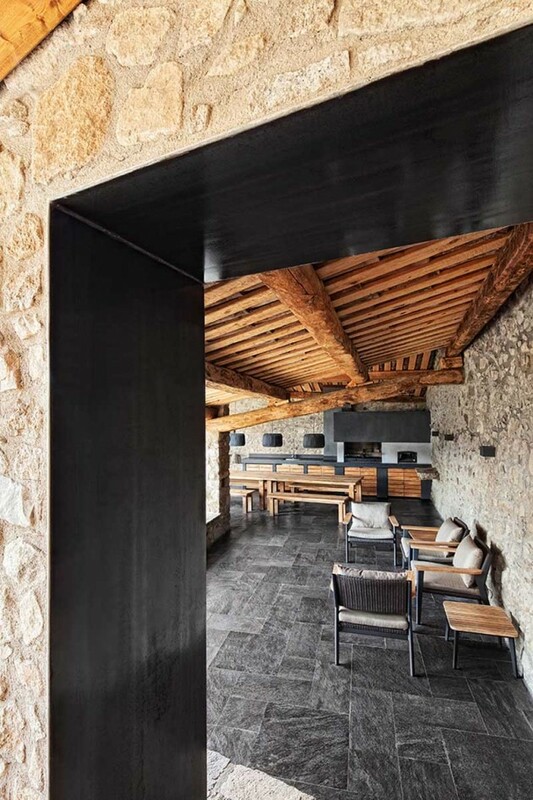 Inside the house several rooms and guests living areas area faced keeping stone walls, wood coating, using iron elements and combining wood flooring with hydraulic tiles. 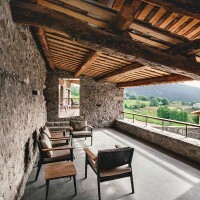 The idea is to create large spaces, in a rural environment, where the surroundings privileged views become part of the interior.